Integrated Urban And Rural Development Programs Mumbai recruitment notice on their official website. There are 550 vacancies for the posts of District Manager, Taluka Manager, Clerk, Computer Operator posts. 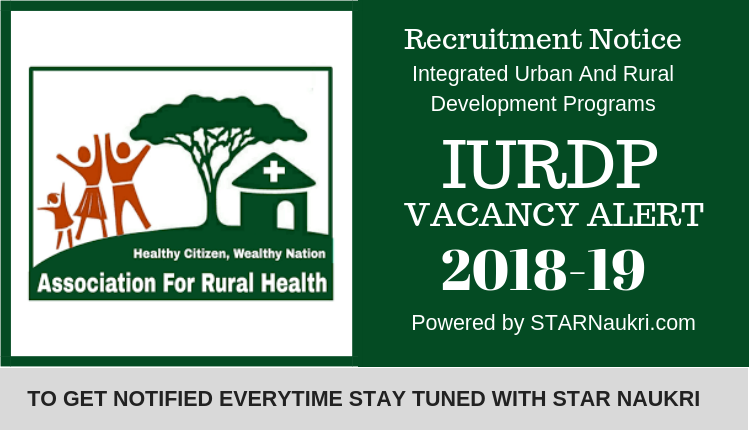 Integrated Urban And Rural Development Programs Recruitment 2018 Integrated Urban And Rural Development Programs (IURDP) Mumbai recruitment notice on their official website(www.iurdp.org). There are 550 vacancies for the posts of District Manager, Taluka Manager, Clerk, Computer Operator posts. Last date of Walk – in interview for these posts is 22nd January 2019. Those who are interested for this posts and according to they eligibility criteria they should submit there forms. The details eligibility and application process are given & mentioned in below. Integrated Urban And Rural Development Programs (IURDP) Mumbai recruitment notice on their official website(www.iurdp.org). There are 550 vacancies for the posts of District Manager, Taluka Manager, Clerk, Computer Operator posts. Last date of Walk – in interview for these posts is 22nd January 2019. Those who are interested for this posts and according to they eligibility criteria they should submit there forms. The details eligibility and application process are given & mentioned in below. समाकलित शहरी आणि ग्रामीण विकास कार्यक्रम त्यांच्या भर्ती वेबसाइटवर मुंबई भरती नोटिस. जिल्हा व्यवस्थापक, तालुका व्यवस्थापक, लिपिक, संगणक ऑपरेटर पदांच्या पदांसाठी 550 जागा आहेत. चालनाची शेवटची तारीख – या पोस्टसाठी मुलाखत 22 जानेवारी 201 9 आहे. ज्यांना या पोस्टसाठी स्वारस्य आहे आणि ते पात्रता निकषांनुसार तेथे फॉर्म सादर करावेत. पात्रता आणि अर्जाची प्रक्रिया खाली दिलेली आहे आणि खाली नमूद केलेली आहे.